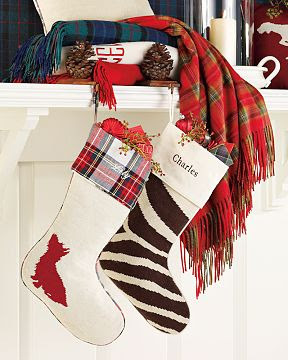 Stocking from Williams Sonoma home- Love the animal print, and of course I'd have to include my monogrammed initials! 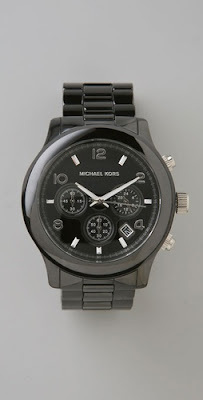 1) Michael Kors watch from Shopbop- I have obsessed over this black watch since I saw it months ago! 2) Flip Video- to capture the priceless moments throughout my engagement! 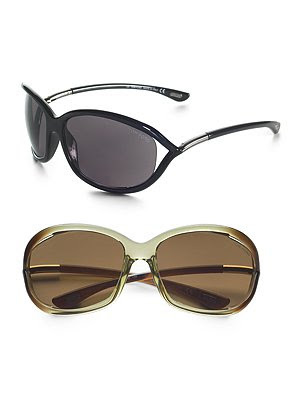 3) Tom Ford Sunglasses from Saks- I could use a new pair of sunglasses and have had my eyes on these for some time now. 4) Donation of children's clothes for Cradles to Crayons- I volunteered here a few months ago and there were not NEARLY enough items for younger children in the cold weather. They are in need of coats, hats, gloves...you name it. I'll be donating items with my friends for the holidays. Located all over MA, feel free to drop by some items if you can! Thanks Emily- love that watch! Day 22 is tomorrow. I really want that flip video! those damn commercials make want to get it! 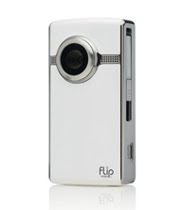 Flip video is awesome - I bought it for my husband (gave it to him early) and he takes it everywhere with him. It's a lot of fun. Loving the zebra print stocking too! Love her list and her stocking pick! I also really want the Tom Ford sunglasses! Thanks for featuring me Jaime!! Now that I am seeing all these again I want to go shopping!! Happy Holidays! I love this series you're doing Jaime. So many pretty things to lust over!